Disclaimer The Gottscho-Schleisner Collection of photographs and negatives produced by Samuel H. Gottscho and William H. Schleisner is in the public domain. 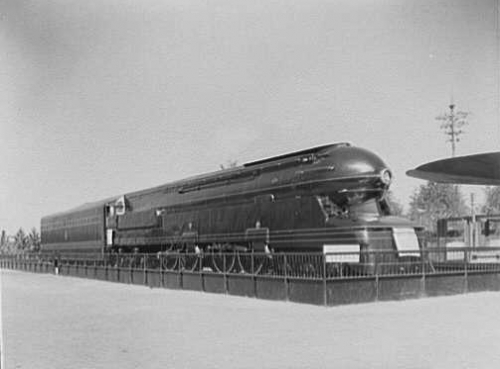 The PRR S1 locomotive on display at the 1939 New York World's Fair. The sleek, Art Deco style exterior was designed by Raymond Loewy.